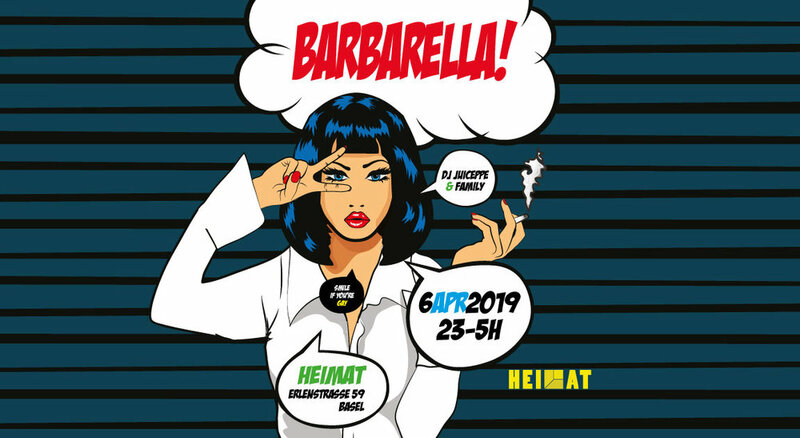 18+, Barrierefrei / Accessible, Club, Dancing, discounted w/ KulturLegi, Explizit for LGBTQ, Nightlife, Paid, Special Interest, Nu-Disco, House, Funk, LGBTQ-Friendly, hoi! We couldn‘t resist to book them for the legendary ‘Classique Night’ of course. Alongside the host Claasilisque they will be in charge of the musical madness on Saturday 20. April! Freimat ist Freiheit, Heimat und Basel, in all unserer Vielfalt! Und ohne Eintritt. Ab 18 Jahren. mit viel Liebe, Bass und Heiterkeit. um unsere Querdenker-Kultur zu zelebrieren! #ClassiqueNight has a vibe to it. When you catch it you tend to go hard. Jamaican music has always worked best in context, and Claasilisque Sound does exactly that. Soundsystem style! Big ups to all the dancers, og's, rastas, science students, and everyone along for the journey. This one is on Friday, 22. March, traditionally at Heimat Club Basel. Looking forward to see you all, and the madness of course!